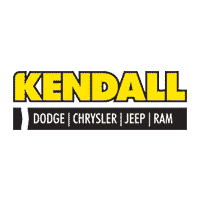 Thank you for taking the time to visit with us here in the Finance Department at Kendall DCJR of Soldotna, your foremost Soldotna auto loan, used car financing, and Dodge lease resource for new Dodge, Chrysler, Jeep, and Ram vehicles and used cars. Our caring and experienced team of finance professionals strives daily to bring you the finest in personalized customer service while securing affordable car loans and Dodge leases. We are a family owned and operated business and believe in extending those family values to each and every one of our customers for an easy and enjoyable experience in a relaxed atmosphere. Come by our Soldotna Dodge dealership today and get started obtaining car financing! We are only a short drive away from the areas of Kenai, Homer, and Anchorage, Alaska at 44055 Sterling Highway in Soldotna, AK 99669. While you’re here, be sure to test drive one of our brand new 2018 Dodge, Chrysler, Jeep, or Ram models. You can find your perfect Dodge car, truck, or SUV by browsing our extensive new inventory and selection of used cars in Anchorage. If you have trouble finding the vehicle you’re looking for or have any questions, please give us a call or contact us online and we’ll be happy to assist you in your search. Once you find the Dodge vehicle that matches your needs, check out our online auto loan payment calculator and get an estimate of your future auto loan payment. Then go ahead and take a few moments to apply for a Soldotna auto loan using our online car finance application. We also have a trade-in value form that will provide you with the true market value of your current vehicle and the opportunity for a no-obligation car appraisal with one of our Kendall appraisal experts. This will give you the information you need to make an informed decision about selling your used vehicle to Kendall DCJR of Soldotna. We also provide low-interest loans for those with existing loans and can work with you to refinance or adjust the terms of your current contract. It’s hassle-free and easy and takes you from a car loan you’re uncomfortable with to one that allows you to breathe. Don’t let problem credit hold you back from owning a new Dodge, Chrysler, Jeep, or Ram! We work with all types of credit, from good to bad credit, to find you the right auto finance option for your budget, even bad credit car loans. This includes first-time buyers and those who have filed for bankruptcy. We have strong relationships with many accredited area lenders and will secure an affordable car loan for you regardless of your situation. From start to finish, our Finance Department at Kendall DCJR of Soldotna is dedicated to serving you and getting you into the Dodge car, truck, or SUV of your choice. We look forward to working with you in the near future and thank you for stopping by!